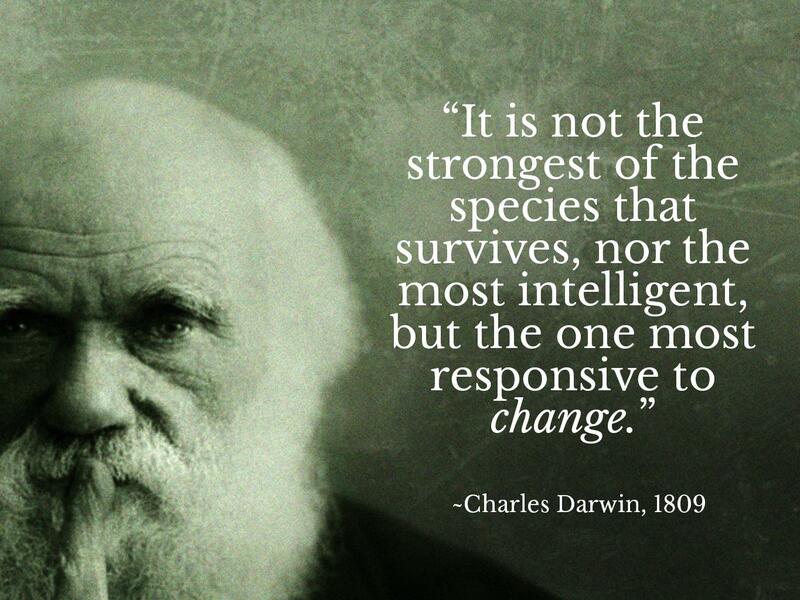 Darwin came up with the idea because he was a productive thinker. He generated a multiplicity of perspectives and theories. Gould would compare new ideas and theories with his existing patterns of experience. He thought reproductively. If the ideas didn’t fit with what he had been taught, he rejected them as worthless. On the other hand, Darwin was willing to disregard what past thinkers thought and was willing to entertain different perspectives and different theories to see where they would lead to. Most us are educated to think like John Gould. We were all born as spontaneous, creative thinkers. Yet a great deal of our education may be regarded as the inculcation of mindsets. We were taught how to handle problems and new phenomena with fixed mental attitudes (based on what past thinkers thought) that predetermine our response to problems or situations. In short, we were taught more “what” to think instead of “how” to think. We entered school as a question mark and graduated as a period. Consequently, we tend to process information the same way over and over again instead of searching for alternatives ways. Once we think we know what works or can be done, it becomes hard for us to consider alternative ideas. We tend to develop narrow ideas and stick with them until proven wrong. Let’s say to advertise our product, we use television commercials during a popular prime time sitcom. We are fairly happy with the results and the television campaign seems to work. Are we going to check out other ideas that we don’t think will be as good or better? Are we likely to explore alternative ways to advertise our product? Probably not. Even when we actively seek information to test our ideas to see if we are right, we usually ignore paths that might lead us to discover alternatives. Following is an interesting experiment, which was originally conducted by the British psychologist Peter Watson that demonstrates this attitude. Watson would present subjects with the following three numbers in sequence. He found that almost invariably most people will initially say, “4, 6, 8” or some similar sequence. And Watson would say, yes, that is an example of a number rule. Then they will say, “20, 22, 24″ or “50, 52, 54″ and so on– all numbers increasing by two. After a few tries, and getting affirmative answers each time, they are confident that the rule is numbers increasing by two without exploring alternative possibilities. Generate a multiplicity of different perspectives about your subject until you find the perspective you want. Genius often comes from finding a new perspective that no one else has taken. Generate a large quantity of alternatives and conjectures. From this quantity, retain the best ideas for further development and elaboration. Produce variation in your ideas by incorporating random, chance or unrelated factors.